WANT TO JOIN SG1 SOCCER? Fall/Spring 2019/2020 Tryout Registration NOW OPEN! SG1 Shirts on Sale NOW! SG1 shirts are now on sale! If you have interest in purchasing, please email norma@sg1soccer.com. 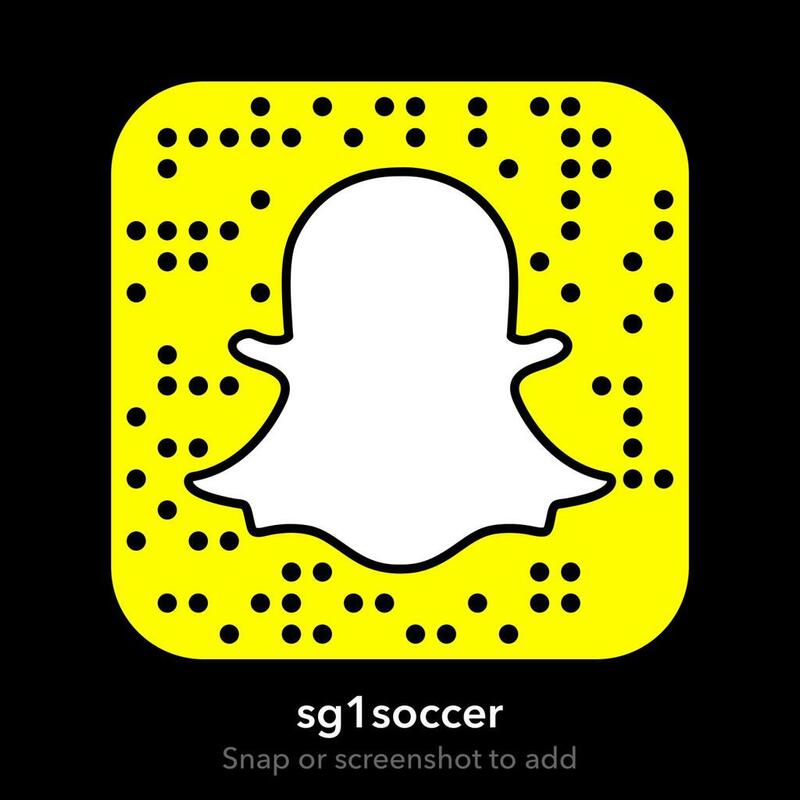 Follow SG1 Soccer on Twitter, Instagram, Facebook and SnapChat! Don't forget to tag us and use #sg1soccer. ©2019 SG1 Soccer / SportsEngine. All Rights Reserved.